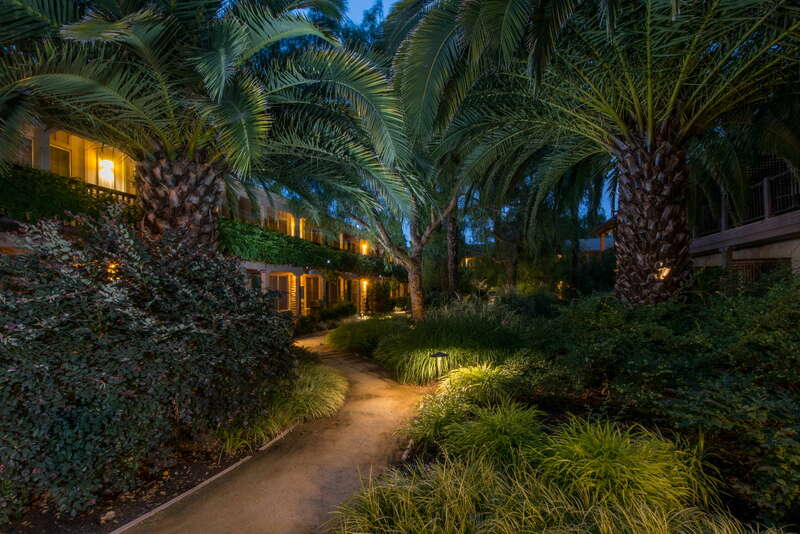 A giant pepper tree and a few palms tower over the garden courtyard of this two-story motel run by the third generation of the family that opened it in 1959. 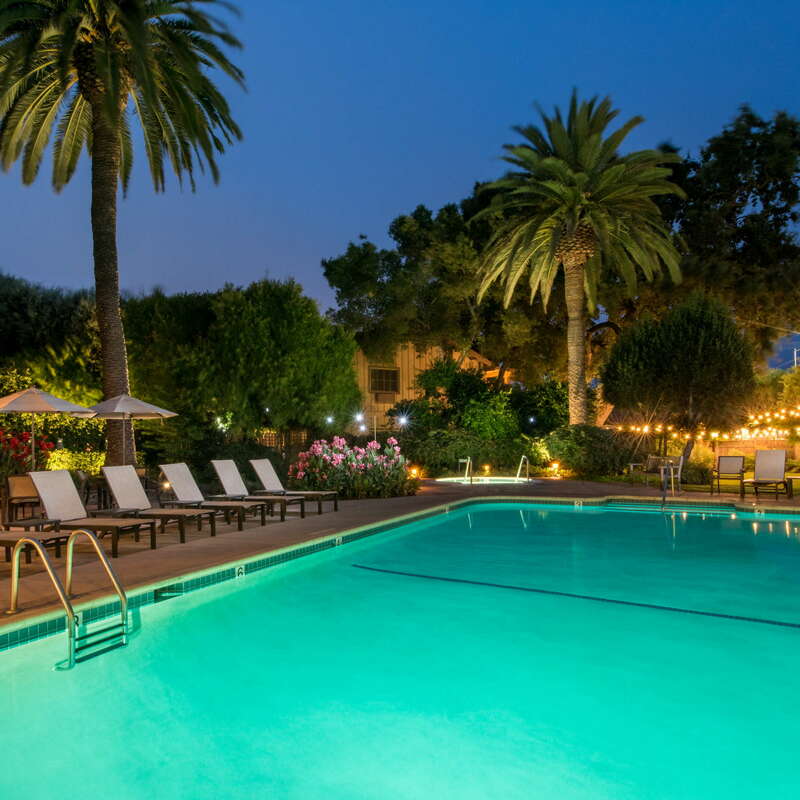 The mature trees, verdant landscaping, festive pool area, and retro feel elevate the motel experience significantly, as do the amiable staffers, complimentary breakfast, and discount passes to Sonoma Valley wineries. YOU SHOULD KNOW El Pueblo is several blocks west of Sonoma Plaza, so it's a bit of a walk to the action there. A 2017 renovation brightened up the guest rooms' adobe-inspired decor. 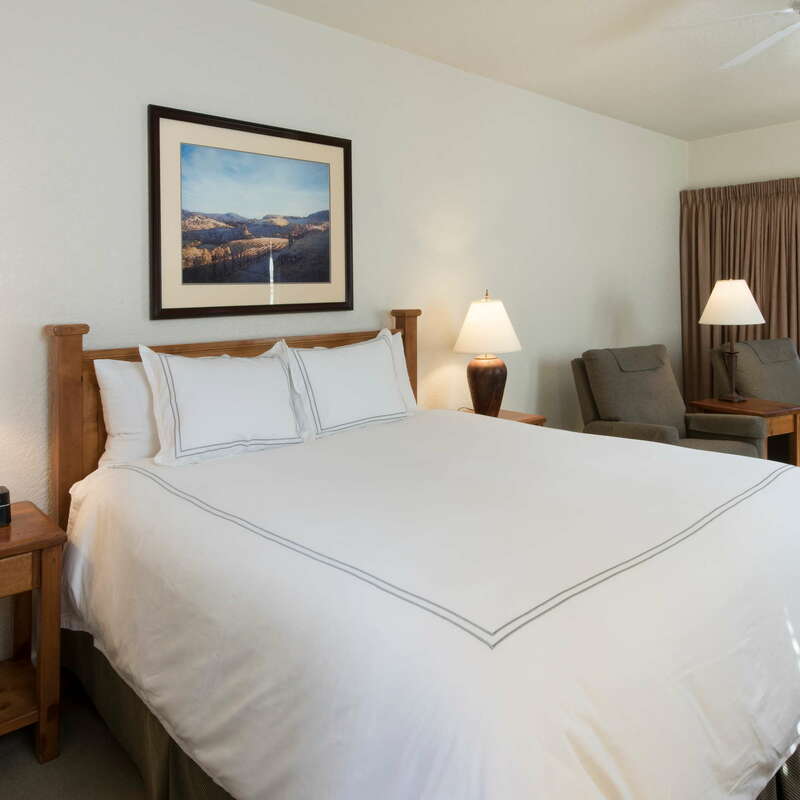 Rooms, which come in three classes—Adobe, Sonoma, and California—are furnished with refrigerators, coffee/tea makers, safes, and flat-screen TVs. Adobe rooms, the least expensive, aren't quite as spiffy, but they face the interior garden courtyard, making them among the quietest. 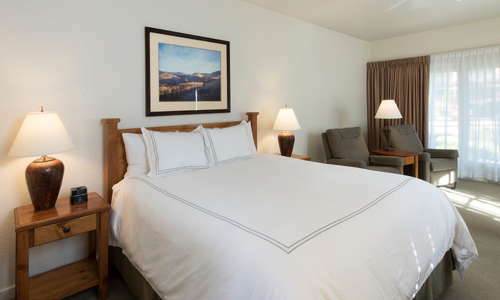 Perks in Sonoma rooms include down comforters, recliners, DVD players, and patios or balconies. 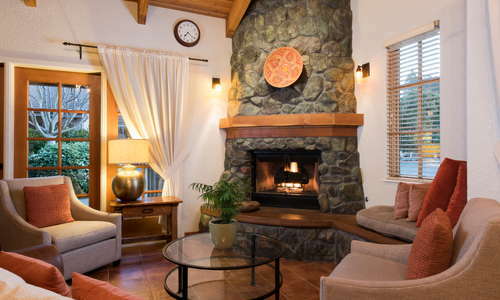 Some Sonoma and California rooms have a fireplace; some California rooms have a patio. Be sure to ask for a garden-courtyard room; street-side ones pick up traffic noise. The upgrade extended to many bathrooms, brightening them considerably. Ceramic-tile patterns popular at the time of the motel's debut still predominate, but the lines are cleaner, with magnifying mirrors and sufficient lighting and counter space the additional pluses. A brown-brick building along West Spain Street contains the homey lobby and front desk area. Overstuffed easy chairs and a sofa set near a corner fireplace made from rough-hewn stone lend the entire space the feel of a country home's living room. 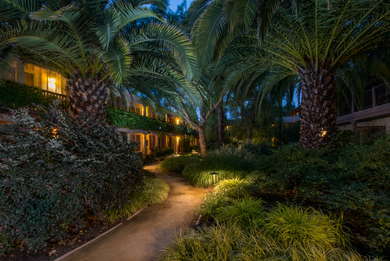 Tall palms tower over the large fenced-off pool area, whose landscaped lawn rivals the courtyard garden for lush appeal. Lounge chairs line the concrete walkway surrounding the pool and nearby hot tub, which are open 24 hours, and tables are available for picnicking. Patrons can book spa treatments with the motel's on-call therapists, enjoying the sessions either in-room or in the cabana area off the pool. Specialties include hot-stone massages and Reiki energy healing. Prices here are lower than at fancier accommodations. A dedicated room near the pool has a fitness center with a treadmill and a few other cardio machines. It's well ventilated, and towels and water are laid out. The motel serves an expanded Continental breakfast buffet, with quiche, fresh fruit, yogurt, many pastries, and hot and cold cereals. The tile-floor breakfast room, furnished with simple varnished-wood tables and metal chairs, is just off the lobby. There is no restaurant. On some afternoons, winery representatives pour wines in the lobby area, but there is no bar. The motel sits on West Spain Street (aka Highway 12) about a mile west of Sonoma Plaza. A car can come in handy, especially for trips to wineries east of the plaza, but Sonoma County Transit buses serving the plaza stop near El Pueblo. The accomplished pastry chef at Crisp Bake Shop (3-minute walk) makes cute and tasty croissants, cupcakes, mini-Bundt cakes, chocolate sea-salt cookies, and brioche sweet buns, and her husband-chef crafts the savory breakfast and lunch fare. Head farther east to Oso Sonoma (17-minute walk) for farm-to-table dishes south of Sonoma Plaza and The Girl and the Fig (8-minute walk) for French-country meals steps northwest of it. A former brewer at Lagunitas Brewing Company opened Olde Sonoma Public House (4-minute drive), a friendly spot a mile north of El Pueblo with regional and imported beers on tap. A straight shot east almost to Sonoma Plaza (both a 15-minute walk) are Tasca Tasca for port, Madeira, and Portuguese nibbles and Sigh for sparkling wines. Two blocks farther east, Oso Sonoma restaurant (17-minute walk) specializes in Korean soju cocktails and has a full bar. 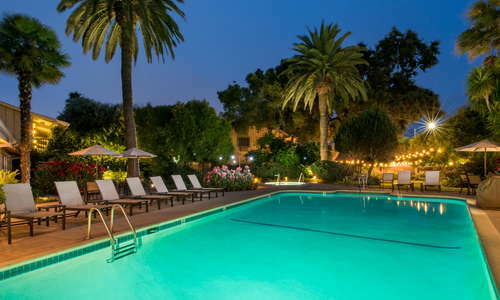 For a fancy cocktail in a glamorous setting head to 38° North (5-minute drive) at the Fairmont Sonoma Mission Inn & Spa. 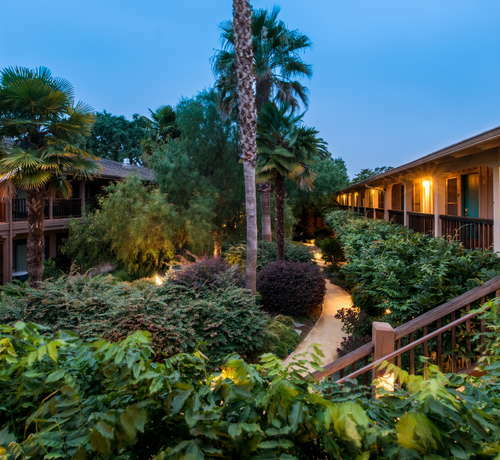 Reasonable rates (a relative term when prices spike on summer and early fall weekends) make El Pueblo worth considering for the budget-minded, but this motel-style property's charms extend beyond affordability. The obvious care that comes with longtime noncorporate ownership is on display everywhere, most notably in the landscaping and the spotlessly clean rooms. $$$ &middot; 1880 Lincoln Ave.
$$ &middot; 131 North St.
$$ &middot; 14880 River Rd. $$ &middot; 1140 Rutherford Rd. 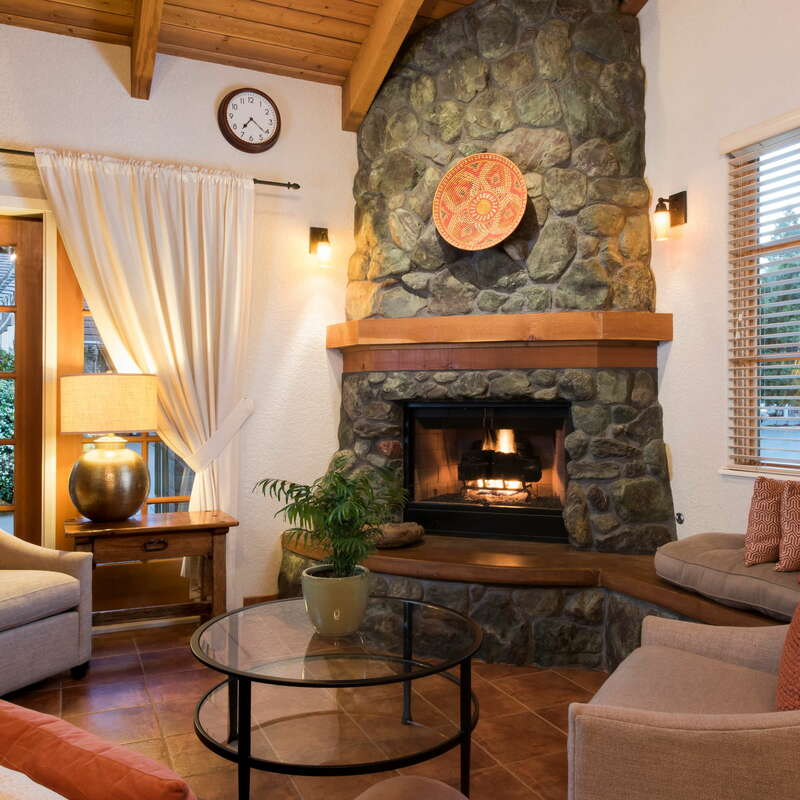 $$ &middot; 14120 Old Cazadero Rd.